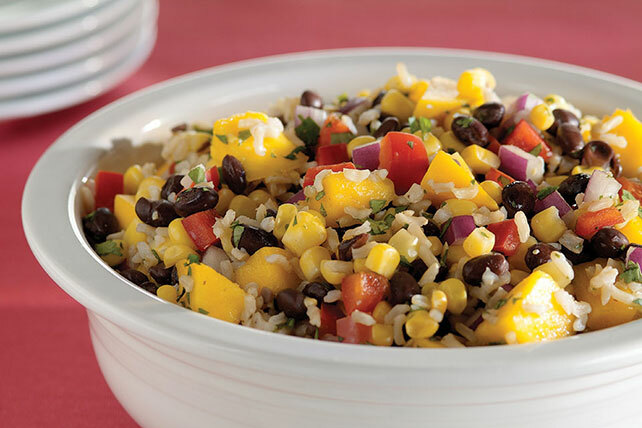 Season this Black Bean and Mango Rice Salad with lime juice, cumin and cilantro. This Caribbean-inspired mango rice salad offers a taste of the tropics. Refrigerate at least 2 hours before serving. Substitute kidney beans for the black beans and papayas for the mangos. 8 servings, 2/3 cup each.